My taste in Scotch tends to run to the Islays. But I generally shy away feom these “big” whiskies in the summer. I find the scent and taste of them lend them to winter drinking. The initial nose is one of peat, iodine, smoke and wood. A little mint creeps in at the end. On first sip, for a 50%+ ABV whisky, there is surprisingly little alcohol burn. It gives a full and complete mouthfeel that is almost sensory overload. There are quite a few flavors here - wood, oak, leather, char, iodine and an enveloping warmth that sort of defies explanation. It is not as heavy and “briny” as Laphroaig. There is also some outlying flavor of mint and menthol. The mid-palate reveals some banana and pineapple (surprisingly), with caramel/toffee and espresso added in. The aftertaste is similar to the initial flavor, with a slight mineral/flint finish. It is long and lingering, and the peat remains in the mouth for quite some time, with the toffee taste as a companion. One has a sense of having eaten some deeply roasted espresso beans. 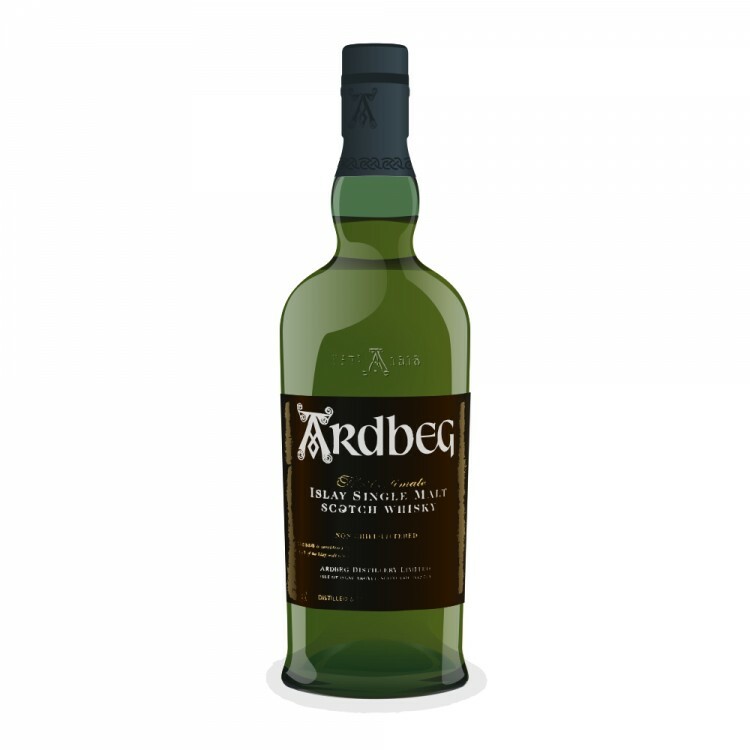 Ardbeg is a dram to be savored and experienced several times. It is not a whisky that is one dimensional by any means. A drop or two of water can expand the pallette of flavors even further. Alligator is a nearly perfect example of an Islay.